On 23 August, the meeting of the board of directors of China Power was convened at the company’s office in Hong Kong. 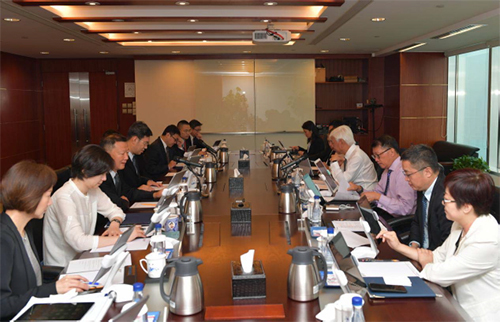 The meeting was chaired by the Executive Director and President of China Power Tian Jun, and attended by the Non-executive Directors Guan Qihong and Wang Xianchun as well as the Independent Directors Kwong Che Keung, Gordon, Li Fang and Yau Ka Chi. At the meeting, the audit committee and risk management committee reviewed the results of the first half of 2018 and risk management; they were briefed by the management on the comprehensive capital operation, development of new investment projects in the first half of the year, capital expenditure, newly-established companies and their operation, operating performance and prospect for the second half of the year, progress of the completion of the Yanhuang project; they considered and approved the resolutions concerning the 2018 interim results announcement and interim report of China Power. The board of directors recognized the company’s effort in enhancing both quality and efficiency in the first half of the year to turn the loss of the coal-fired segment into profits and achieve fast-paced profit growth for the new energy segment, while highly acclaiming the achievements the company notched up in such aspects as transformation and development, capital management and internal control. Besides, the board offered the management advice on and set requirement for the production and operation, financial expenditure management and risk control in the second half of 2018. The Chief Financial Officer He Lianhui, Vice President Xu Wei and Shou Rufeng attended the meeting.